We expose our skin to all sorts of elements—from soaking up rays in summer to frosty winters settled by the fireplace. Our skin sees both dry, cold, conditions and times of a little too much sun. Skin sweats, peels and cracks, and we bomb it with makeup masks, lotions and potions. It is fair to say that our skin gets an absolute workout. So how do we give our skin some loving? Green tea of course! A recent trend in the beauty market is a matcha green tea water bomb mask. These masks claim to hydrate & exfoliate your skin in 15 minutes by applying a hydrogel mixture of matcha to your face. Consisting of some power-packed natural ingredients, the green tea mask leaves skin supple, fresh and glowing. For lovers of green tea, the Bondi Beach Tea Co. team have muddled up a green tea water bomb mask of their own using a fresh mix of matcha green tea. Here’s how they do it, so you can make your own green tea water bomb mask too. Add a ¼ teaspoon of matcha green tea and 1 teaspoon of honey and mix all the ingredients together. Apply the mixture directly to clean skin. Let it soak and settle in for at least 15 minutes. You might experience a tightening sensation as the mask dries. Once dried, wash your face gently with lukewarm water, followed by cold water to help tighten the pores. Look in the mirror and celebrate your new glow! If you want a natural way to clear your facial pores from toxins and other impurities, this green tea water bomb mask is a must try. It is gentle enough to use on your face weekly without any irritations. Although there are different methods of creating a green tea water bomb mask, this recipe uses aloe vera, since it is packed with healing properties for the skin. Antibacterial, anti-viral, and anti-inflammatory properties guard against toxins and offer soothing, moisturizing benefits. Furthermore, aloe vera is traditionally used in skin serums to balance the natural skin tone and to shrink large pores. It also helps to clear up acne, reduce scarring, relieve irritated skin, and heal minor abrasions. Finally, it is quick to penetrate the skin and serve as a barrier to dry oily skin which helps heal wounds such as scars and dark abrasions. Tip: Using a 100% cotton sheet mask to dip your matcha green tea water bomb mixture can help to prevent messy drips while applying the mixture onto your face with your hands or with a brush. Other ingredients you can use with a matcha mask are rose water, honey, lemongrass, yogurt and coconut oil. The matcha green tea used in this mask mixture is prized for its antioxidant values and its positive effect on skin complexion. A homemade green tea water bomb mask can leave your skin feeling refreshed as well as vibrant. The antioxidants in matcha, like polyphenols and catechins, also help protect your skin from harmful UV radiation. 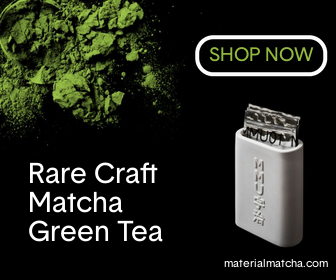 Read more about the health benefits of matcha here. Matcha green tea is useful in many different ways. 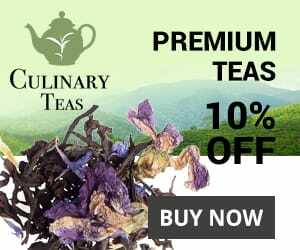 You can sit back and enjoy a relaxing cup of matcha latte, you can cook with it following one of hundreds of great recipes or you can use it to rejuvenate your face by creating a homemade green tea mask.